At Indus we have models in which client can perform both drilling & routing operation in the same machine. 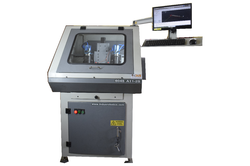 4045 - A11 is a indigenous, high quality, compact, computer operated CNC PCB Drilling & Routing machine. 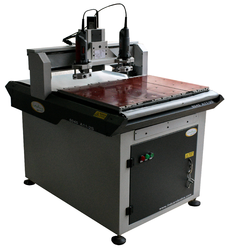 Its rugged design & high quality spindle ensures fast PCB drilling & routing without compromising on production quality. 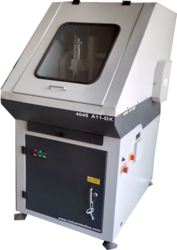 4045DX - A11 is a indigenous, high quality, compact, computer operated CNC Metal Core PCB Drilling & Routing machine. Its rugged design & high quality German spindle ensures fast PCB drilling without compromising on production quality.Designed with precision, our offered products are well known for excellent finishing and effectiveness with long functional life. We quality test these products under various parameters for ensuring performance and durability as per latest industrial norms.